Woven from the softest yarn available in an extra-thick pile, the Supreme microfibre Rug adds a luxurious look and feel to your floors. Plush look, durable, it stands up to wear and is also stain-resistant. Its contemporary style is perfect in any room. Upgrade the atmosphere of your home with the elegant Winslow Dark-Slated 8 ft. X 10 ft. Area Rug. Featuring polyester, this rug will protect against stains and fading. This loomed rug features a classic style and a geometric pattern. It has a plush pile and is 1.04-inch thick, offering a more lavish feel under for your feet. Ideal for adding a cooling effect, it sports dark-slated colours, helping to create a beautiful environment. To keep it from slipping, a rug gripper is recommended. 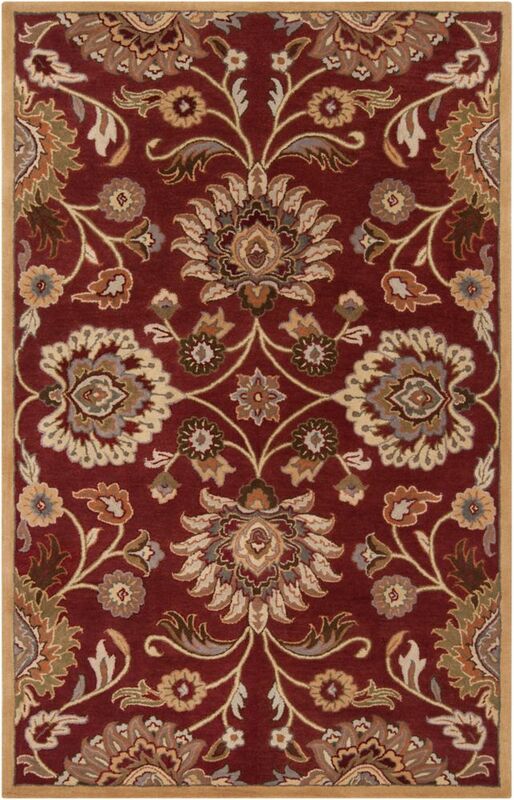 Cambrai Burgundy 10 Feet x 14 Feet Indoor Area Rug Elegance, sophistication, and grace are just a few words that define the radiant rugs found within the flawless Cambrai collection by Home Decorators. Hand Tufted in 100% wool, the timelessness found within each of these perfect pieces embodies a classic charm that has been revered for generations, and that will truly emanate a sense of warmth from room to room within any home decor.